Winter is almost here. As we wind down the last few days of Fall, the craving for those comfortable hot beverages calls to us. Hot chocolate, hot tea, and the most popular of them all, that steaming cup of joe. It’s a necessary part of quite a few people’s morning. There are even memes that state the danger that exists if you choose to talk to someone before they have that first cup of coffee. With that said, avid coffee drinkers understand that there is a certain way to enjoy the first cup of coffee. Though each person has their unique style, the basic format is the same. Read on to find out how the majority of us enjoy that first cup of coffee in the morning. “The best part of waking up is _______ in your cup.” If you know anything about coffee, you probably sang that tune and filled in the blank without thinking twice. As the years have gone by, Foldgers has definitely made its mark in the coffee corner, but there has been a boom in the business. You can choose anything from cappuccinos to affogatos to lattes. Then, there those of us who prefer old the old-fashioned black and two sugars. Whatever your flavor, the first step in enjoying any cold morning is to settle on what you’re in the mood for that day. If it was a long night, you might need that steaming hot black coffee with two sugars. Got a lot to do today? A good espresso might be right up your alley. With Winter well on the way, those mornings are going to get colder and colder. Whether you are a guy getting ready for a day at the office or a woman preparing for the family Christmas invasion, that early cup of motivation is something you want to enjoy. Having a spot in your home that is set up with your needs in mind is paramount. If you are the type that loves to watch the snow fall while you sip, you could set up a nook by the window. Set up some pillows to sit on and some warm fluffy blankets to cuddle up in as you get lost in the snowy scenery. Do you love the warmth of a dimly lit room? Many do. Some well-placed candles or string lights should do the trick. Have you ever tried to gulp down a cup of hot coffee? Not an experience I would recommend trying unless you have an affinity for blisters. Understandably, sleep is a hot commodity on its own, but if you want to take full advantage of the boost that first cup of coffee can give you, it’s imperative that you invest a little time. Like warming up your car engine on a cold morning, if you rush the process, there will be parts of your day that just don’t seem to run as smoothly. 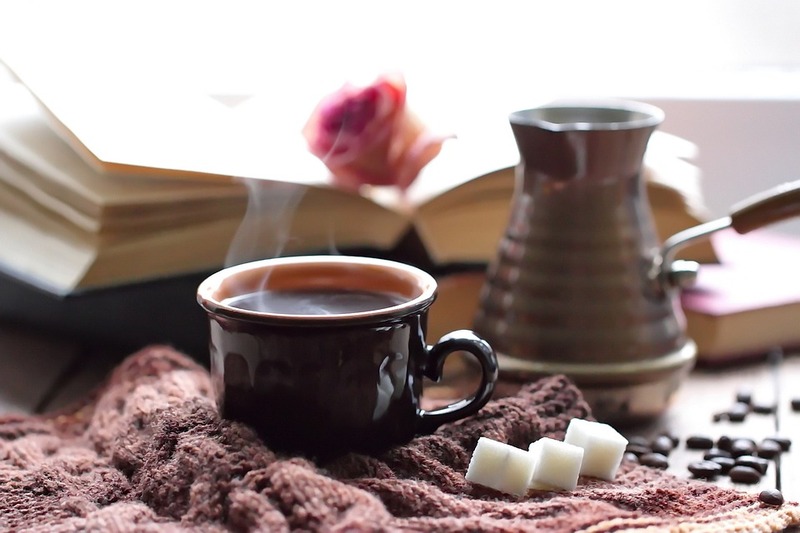 Even if you have to get up a little earlier, it’s worth it to take the time to truly enjoy the wonderful aroma, the comforting heat, and the soothing experience that gets you ready for the day. Having that first cup of coffee in the morning is a motivation experience, to say the least. Refer to these tips if you want to make it monumental.